Chinese Vice Foreign Minister Cheng Guoping said that China aims to build up its strategic partnership with Russia in sectors such as finance, space and aircraft building. 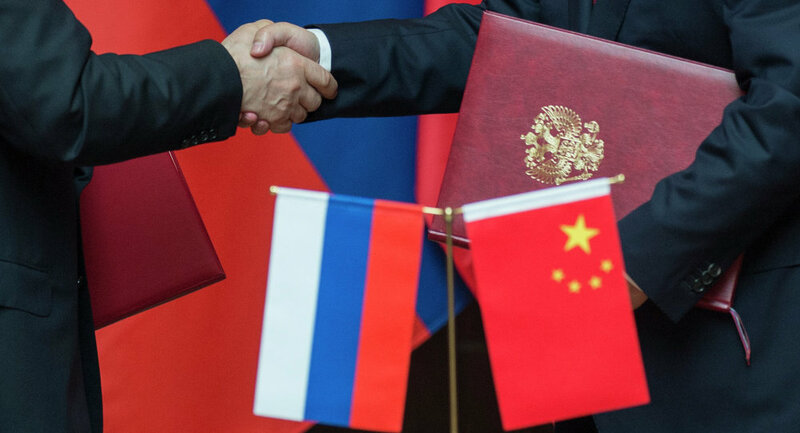 BEIJING (Sputnik) – China aims to build up its strategic partnership with Russia in sectors such as finance, space and aircraft building, as well as raise trade cooperation to a new level, Chinese Vice Foreign Minister Cheng Guoping said Tuesday in a press conference. "It is essential to raise cooperation in practical sphere to a new level. Both sides will also be expanding and raising to a new level mutual trade, increasing partnership in the sphere of innovation," Cheng said during a press conference in the Beijing branch of Rossiya Segodnya. According to the vice foreign minister, it is most important to cooperate more in spheres of constructing aircraft, space, nuclear energy, building of high-speed rail and implementation of advances in science and technology. "We believe that our potential and capacity are far from exhausted," Cheng said, adding that Russia will cooperate with Russia in the finance sphere more actively. Moscow and Beijing cooperate in a number of fields already. Last month, it was announced that China and Russia could invest $13 billion into a long-haul aircraft project. Russia's First Deputy Prime Minister Igor Shuvalov said in January that payments in national currencies were on the negotiations agenda with China. In February, Russia and China signed a cooperation agreement in the field of satellite navigation.